We’re in a little bit of a lull as far as the WRC is concerned. There’s still a lot of post-Germany fallout that needs to be sifted through, but with still over a month until RACC Rally Catalunya, the WRC fan might have a bit of downtime that needs to be filled. A few days ago, Toyota Gazoo Racing gave us just the perfect diversion to get us through the long break between WRC events. Available on YouTube is a 52 minute documentary on how the newest incarnation of the Toyota World Rally Team came to be. Not only is it beautifully made with a very high production value, it gives us a really good insight into the early days of the program. Well, now we know that, yes, the program was definitely for real and the reason we heard so little was because of the shroud of secrecy that Toyota maintained. Things certainly were going on far away from the public eye in those early days of the program. What I enjoyed so much about this documentary was that it showed the beginning of the relationship between Toyota’s CEO, Akio Toyoda, and Tommi Makinen. You can tell just from the body language of Akio and Tommi that they “clicked” together despite the big difference between their respective cultures. The passion that Mr. Toyoda has for the sport is clearly displayed in the film, and for someone who loves rallying, it is heartwarming to see. I’ll be honest, that when Jari-Matti Latvala won in Sweden in only Toyota’s 2nd rally, I was absolutely amazed. 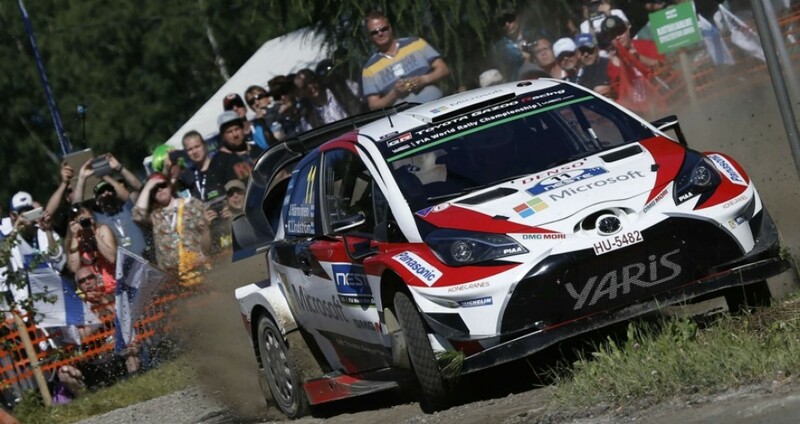 The same goes for Esapekka Lappi’s victory in Finland. But after watching this film, I can see that it shouldn’t have been that much of a shock. Toyota certainly did their homework over the past 24 months, even if we didn’t know about it until now. So, crack open a beer and sit back to enjoy this one… I think it’s well worth your time. Previous story How Must Rallying Evolve to Remain Relevant?